Superman#714 Incredible Condition 9.0(2011) Igle Art!! New Listing Superman Lot of 8. #707, 708, 709, 710, 711, 712, 713, 714. 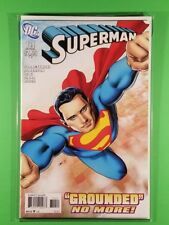 DC Comics SUPERMAN #700-714 Grounded Full Run Straczynski Autograph! HUGE SUPERMAN 38 COMIC LOT #645 - 714 HIGH GRADE NM+ DOOMSDAY AWESOME COMICS! ACTION COMICS #714 SUPERMAN * THE JOKER DC 1995 NICE!!! ACTION COMICS # 714 SUPERMAN * THE JOKER DC 1995 NICE!!! This page was last updated: 19-Apr 14:04. Number of bids and bid amounts may be slightly out of date. See each listing for international shipping options and costs.